It's a day for pictures apparently. 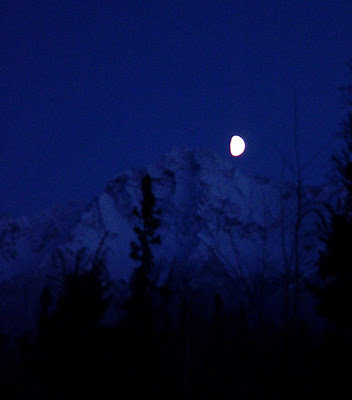 This is a little to the right of the picture in the previous post, about 6:30PM just as the moon was rising over Pioneer Peak. And that's going to do it for today.